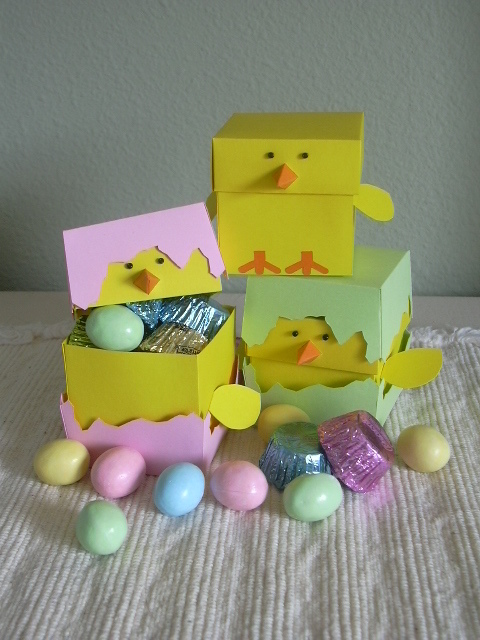 Cofy put together these favor gift boxes brimming with fantastic Easter candy for her son's whole class! Sugar overload for sure. (I'm pretty sure she earned the title of Most Popular Mom with his entire class). 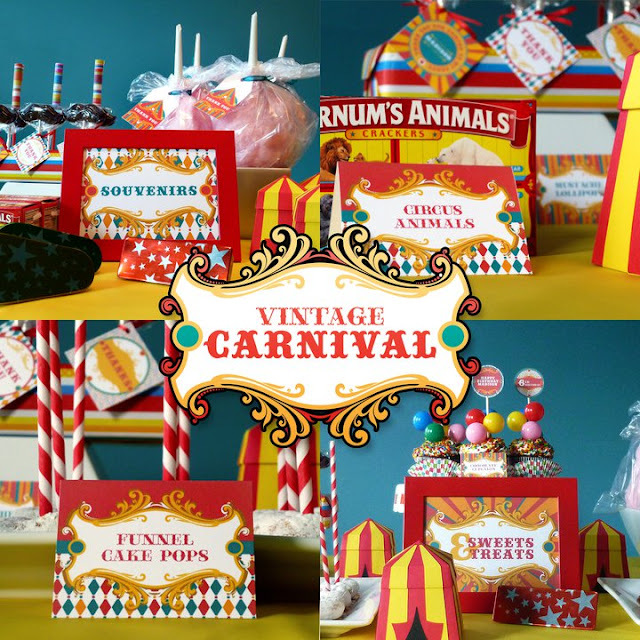 Zoila Lopez of Squared Party Printables created this spectacular Vintage Carnival Circus Printable Birthday Party Package. If this particular theme doesn't strike your fancy do yourself a favor and checkout her shop or facebook page for some more incredible themed DIY party packages. Or to see more images of the Vintage Carnival Circus Package. Definitely a must see! Isn't it pretty. Delicious too, how could it not be? Pure sugary goodness. (Honestly, the frosting was too sweet.) 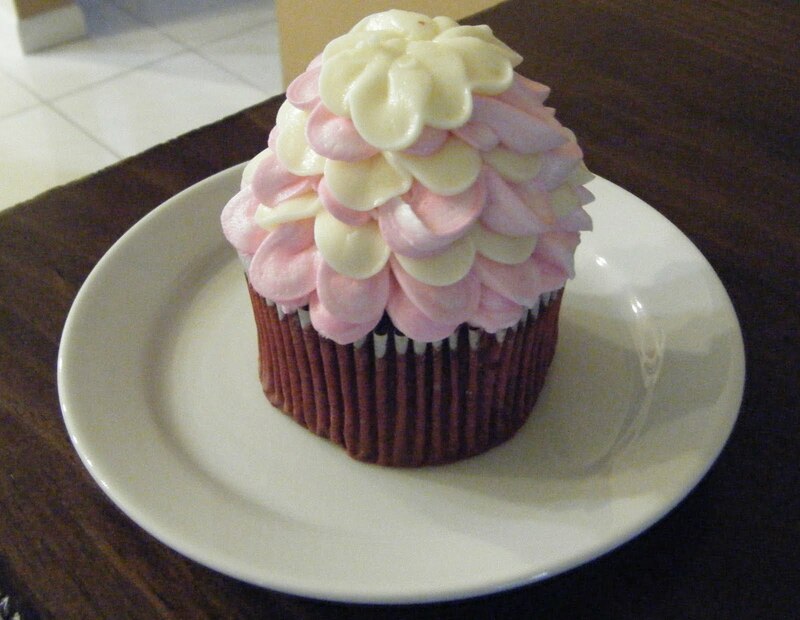 Wish my picture could do this cupcake some justice. Surie put together these awesome gift baskets for Purim. I think she wins the award for most creative idea ever! 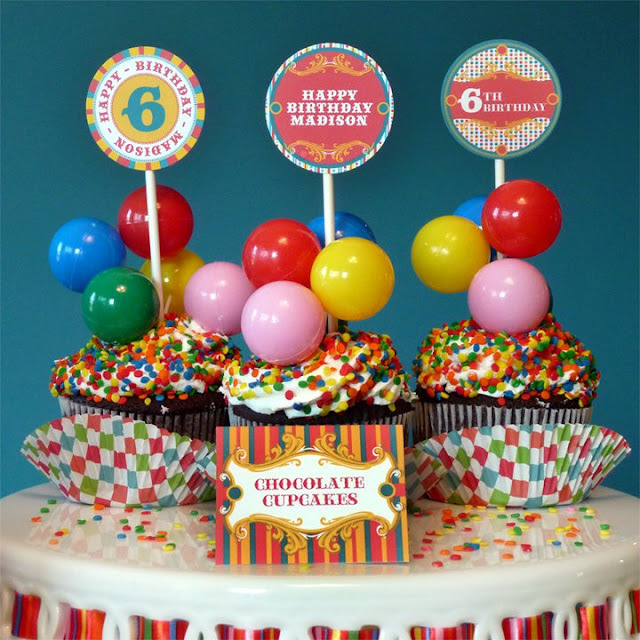 Can you believe she made 25 of these--what lucky friends and family! Here are some details Surie shared with me: The "table" portion is constructed from a rectangle box, inside you'll find a bag of coffee and a box of cookies. She then used ping pong balls wrapped in gold tissue paper for the four legs of the table. 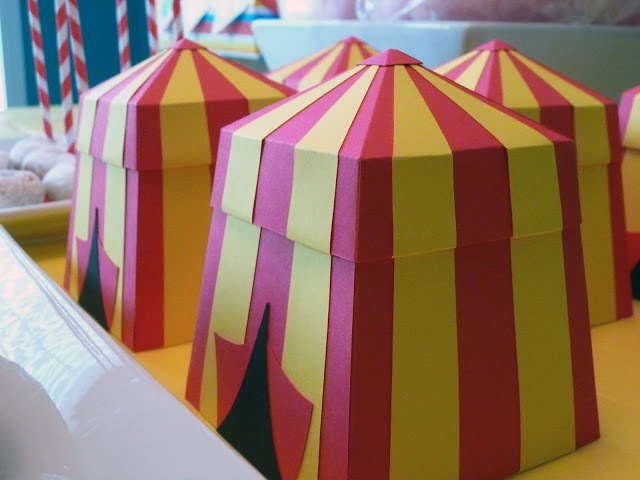 Next, she placed large paper doilies on top of the tables. The Polka Dot Teapot was filled with herbal teabags and 5 tubes of Lipton Tea to Go. 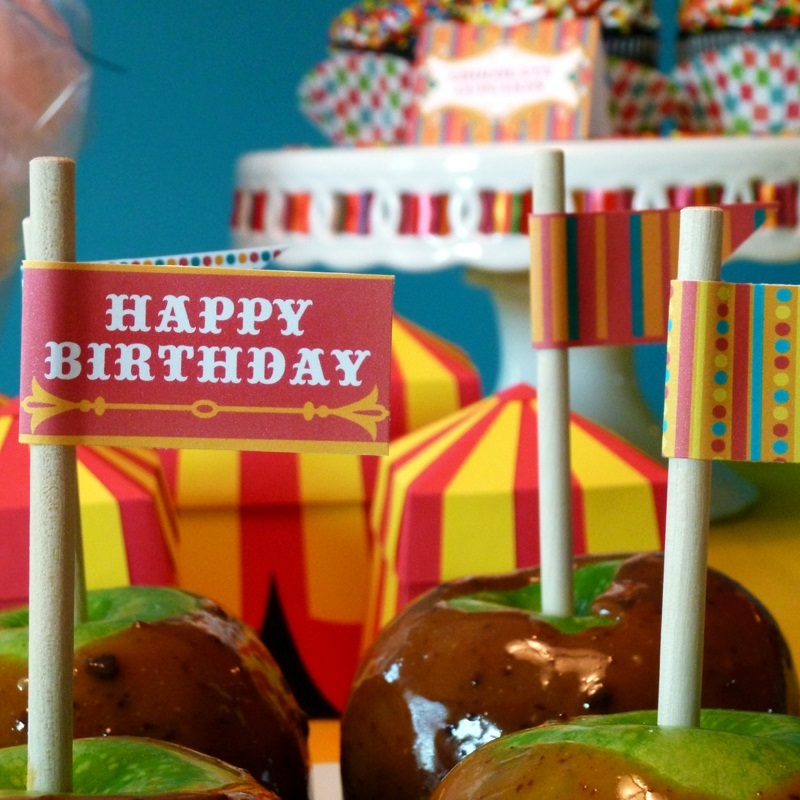 While, the teacups were filled with some gold foiled wrapped coffee candy. 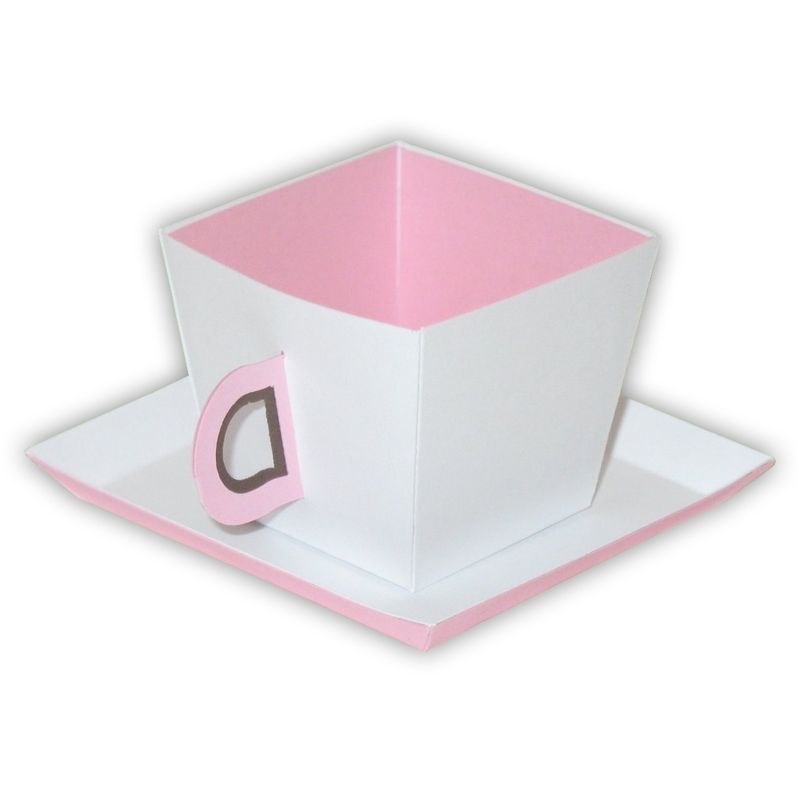 Also, two cellophane wrapped sugar cubes were placed on each saucer. One cake slice box was filled with cappuccino chocolates and a mocha candy bar, while the other cake slice box was filled with a small package of cookies, mini coffee cake, and an envelope of cappuccino hot chocolate. Napkins were attached next to each cake slice along with two small spoons that had "coffee" marked on them. Now available in a set of five!